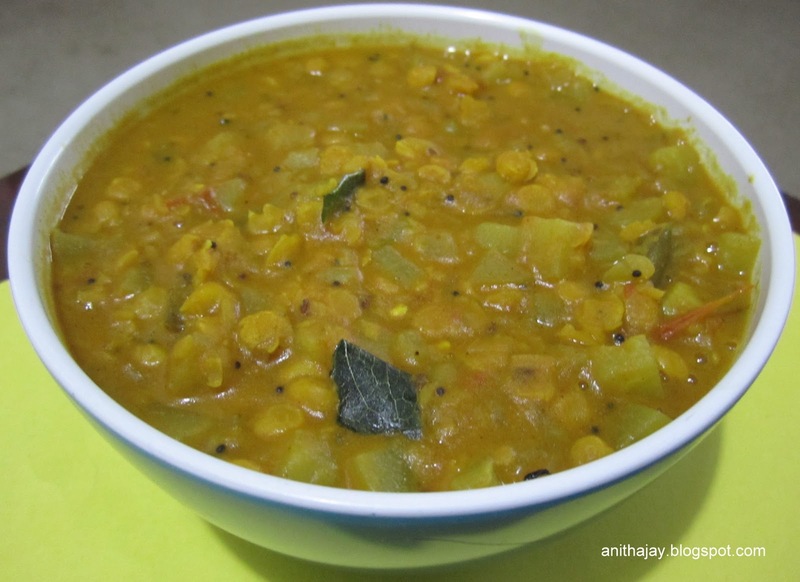 It is a simple recipe and its one of my favorite kootu. I always love to have kootu because its easy to cook and it doesn't required much ingredients. One more reason I always used to cook kootu in pressure cooker. So simple no ? Peel the skin from chow chow , remove the seeds and chop in to cube size. Soak the dal in water for 15 minutes. In a pressure cooker take all the ingredient except Item under To temper and cook it for 4 -5 hisses. Once pressure went , heat oil in a pan add fennel seeds and curry leaves. Once splutter add it to kootu and let it cook for 2 -3 minutes. Garnish with coriander leaves and serve hot with rice or roti. Love this kootu simply with rice.